Colour schemes in coding IDEs are a very personal thing. For a long time I favoured Gruvbox, which I found really pleasant to work with. However I then chanced on Seoul256 and after trying it out for a few days decided to stick with it as my preferred colour scheme. After a while though some of the chosen colours bothered me — I really wasn't keen on the use of green, and the comments seemed to flow into the rest of the code, so I made some tweaks and now I use this version everyday and find it works really well. 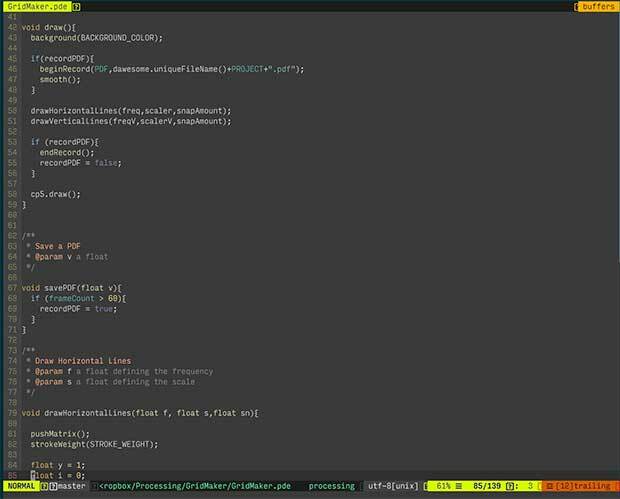 This tweaked version for Vim is below and also available at this gist.